VANDERHOOF – Producers in the Northwest and Central Interior of BC hope snowfall this winter will help recharge local aquifers. While most regions are recovering from the extremely dry conditions of early October, the improvement comes after surface water dropped to some of the lowest levels in living memory. “Stream levels were at near-historic lows,” Ministry of Forest, Lands and Natural Resource Operations staff told Country Life in BC. FLNRORD has been formally tracking and documenting drought levels only since 2010 but hydrometric records on some streams go back 90 years. “These records indicate that there have been similarly dry periods in the past, though not commonly,” says FLNRORD. Snowpack levels last winter were particularly low in the Peace, Skeena-Nass and Stikine. A high-pressure ridge starting in April set the tone for a warm and dry summer. “Precipitation levels were well below normal, thus creating the drought conditions we are currently observing,” says FLNRORD. Indeed, Prince George recorded just 2 mm of rain in August, while Smithers had none at all. 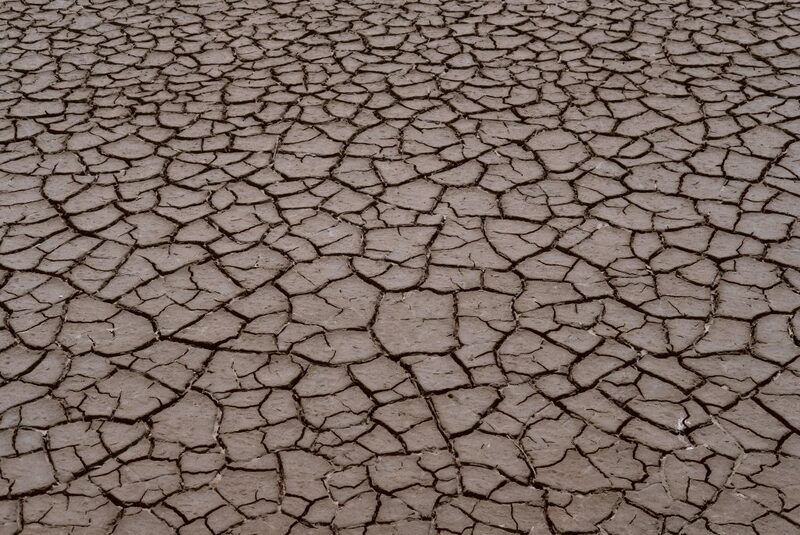 Two producers who have been in the Central Interior for 25 years agree that conditions are the driest they’ve ever seen. “These were the poorest growing conditions I have ever experienced,” says Martin Ruiter, who raises cattle and hay near Vanderhoof. Les Yates, who with his wife Chris farms 250 kilometres to the west outside of Telkwa, agreed. “The Bulkley River is at record lows and that’s an indication of the poor groundwater situation,” he says. A creek running through the Yates’ property went dry this year towards the end of August, something that isn’t unusual. However, a pond the Yates use as backup was also exceptionally low. Yates is concerned that groundwater levels have gotten unusually low. 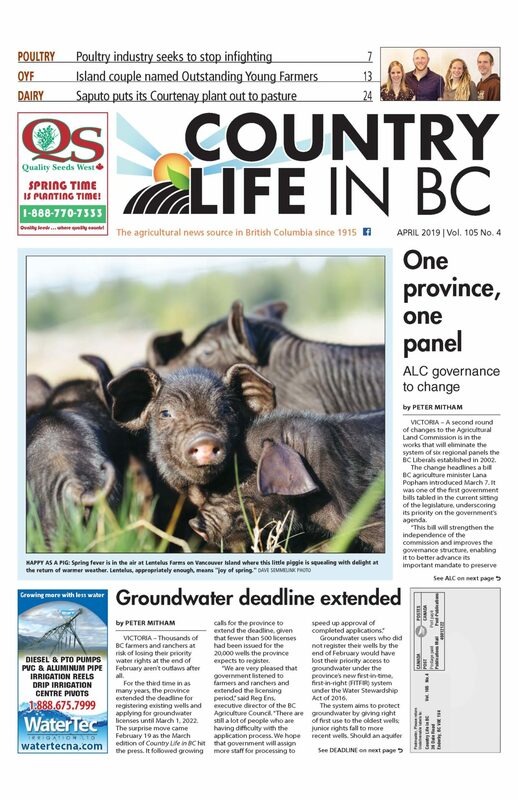 “If this hot and dry weather is going to be more of the norm, ranchers are going to have to look at ways to capture surface water in the spring,” he says. Ruiter has about 550 acres of hay under pivot which gave a good crop. He has water rights to the Nechako River, and while it was low, he says he is not concerned that his irrigation would be restricted in a drought situation. “The water flows are controlled by the Kenney dam to ensure adequate water for fish stocks so there is always enough water for irrigation,” he explains. But his range lands did not fare as well. “We had to bring the cows off pasture early because it was in such poor shape,” says Ruiter. BC Ministry of Agriculture staff confirm that fall grazing is limited, with poor regrowth conditions due to the lack of moisture. Production Insurance is receiving notification of losses in the range of 20% to 45%. “With the decrease in grazing and increased cost of feed, there is pressure on the need to use winter feed supplies,” the ministry says. To meet demand in the northwest, hay is being sourced from the Peace River region. Rains that started in mid September have continued through the fall, with Prince George receiving 88 mm by mid November.